The injury report is out and the Jets are looking healthier. You can debate how much that matters at the tail end of this lost season. 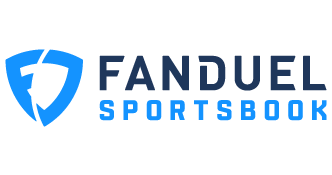 Sam Darnold was a full participant in practice. Todd Bowles gave this update on Darnold. He looked fine, I mean he threw the ball around pretty good but it’s day one, so we’re trending. Well you’ve got to stay healthy. He’s got to get the rust off and he’s got to get the game plan down. He’s got reps last week, we’ll continue to get him reps this week. We’ll monitor it as it goes along and we’ll make a decision toward the end of the week. Yet somehow Bowles still wouldn’t commit to Darnold when he was asked who will start on Sunday. We’ll see, it’s too early in the week. If the Jets don’t get Darnold back on the field soon an ugly season will get even uglier. 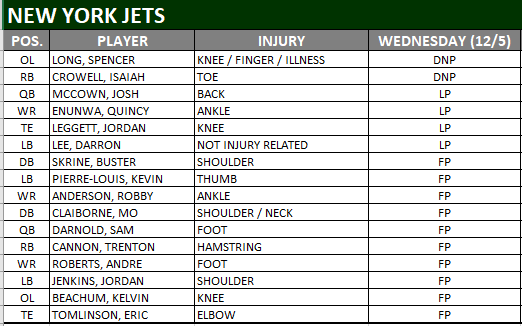 The full injury report appears below and here are some other injury updates from Todd Bowles. He had it on Tuesday. A couple of months, they’re not sure. It can go give or take a couple (months) depending on how it heals. It was a shoulder, yes. Well he’s out there running around, so his first day practicing in pads. He got a little better, so we’ll just continue to monitor him and let him run around. Too early to tell, I’ve only seen him for a day. He’s sore, so we’ll monitor it during the week and see how he feels.